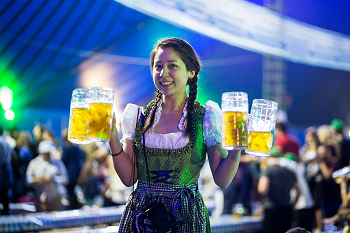 The Bar: Behind the bar you will find bier galore but don’t worry for those who feel like swapping your stein there bar will be fully stocked bar with a selection of all your favourite drinks. 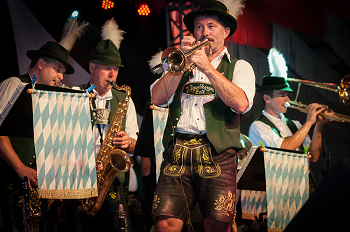 The Entertainment: A traditional Bavarian Oompah band will play in each ticket session. 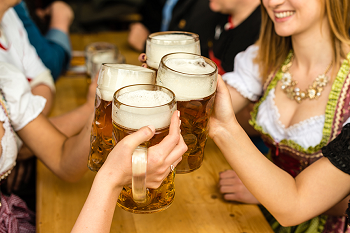 The VIP package at £350 for a table of ten includes: • Best seats in the house • Basket of table nibbles • Free bier stein tankard • Dedicated table service • First stein of bier included • Table games.